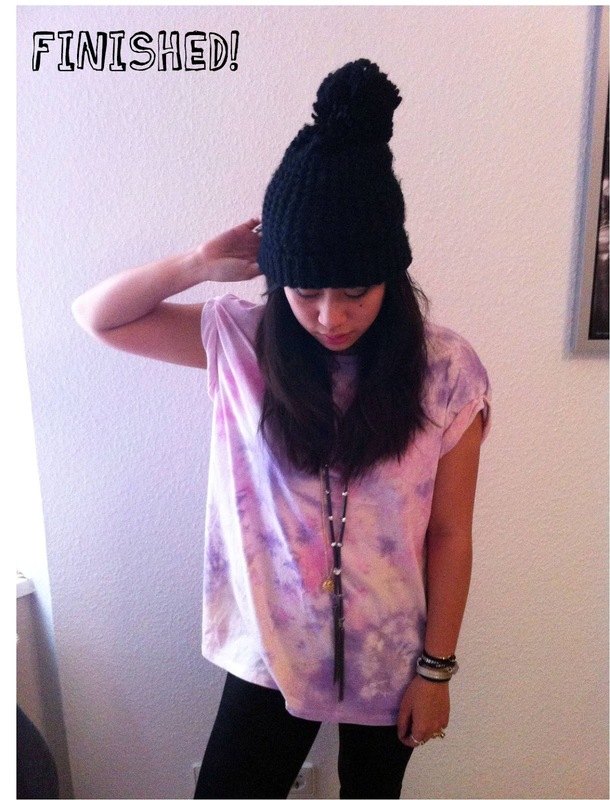 In a desperate attempt to gain back my treasured item, we spent an evening trying to repeat the process - I got a ton of compliments about the top and She inspired me to lug my heavy camera across the country to document the whole thing. 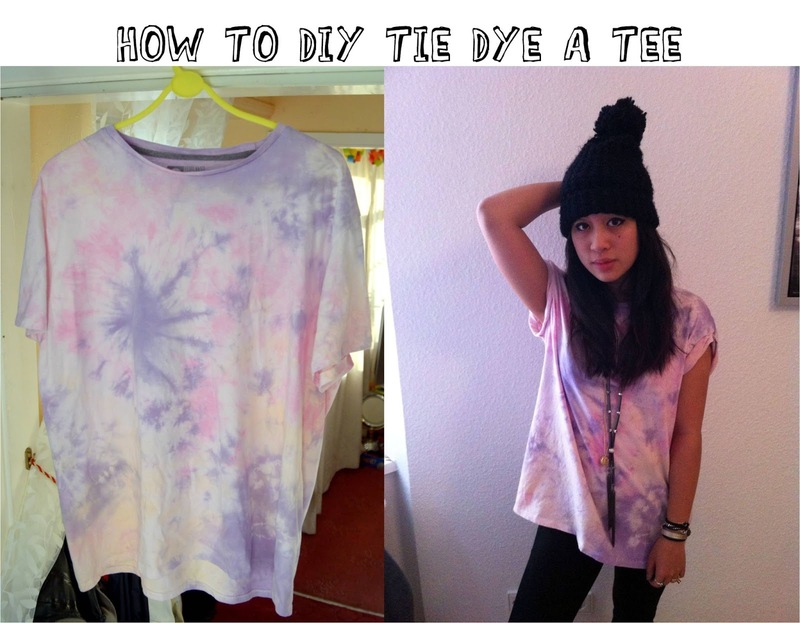 So here's how to make a tie-dye tee. 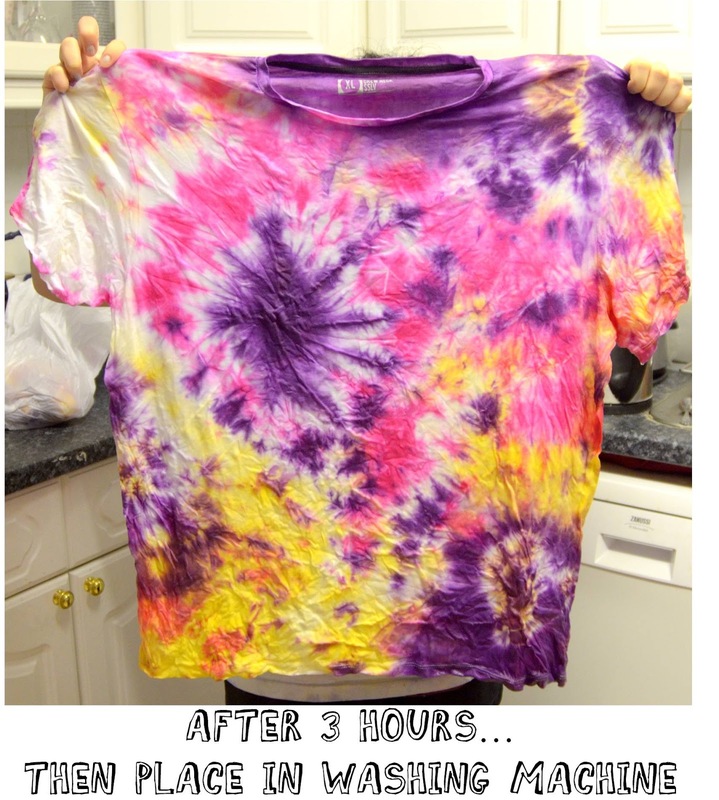 Note - if you want the colours to appear more vivid, leave the dye in longer and make up a stronger concentration of dye. 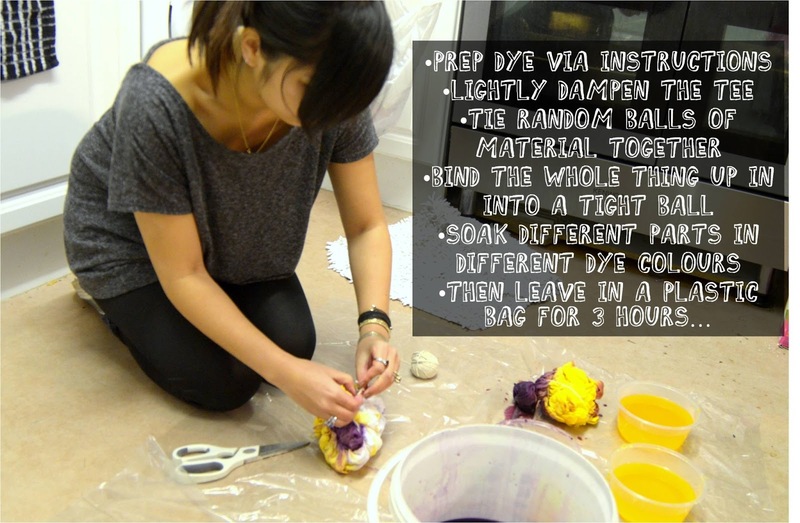 I used Dylon Flamingo pink, Sunflower Yellow and Intense Violet fabric dye. 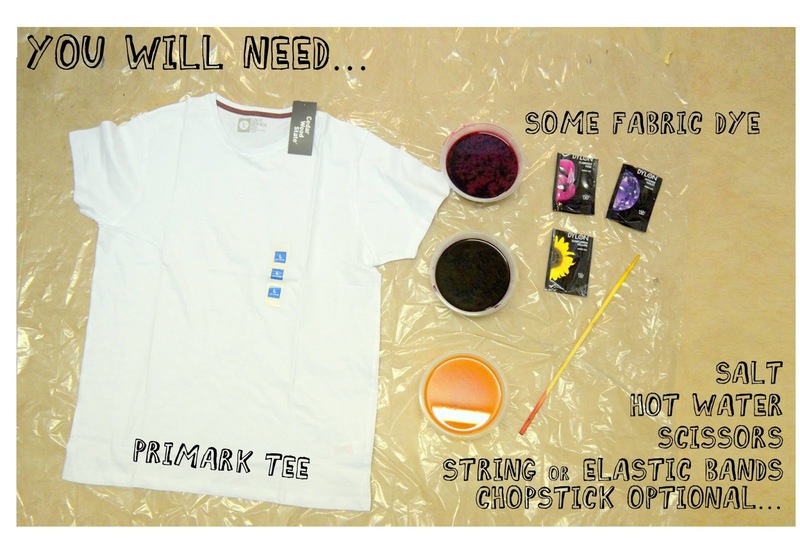 Each packet could dye several items so its worth dying several things to avoid waste.